In the last article I showed you how to do keyword research and how to find how many sites are competing with you for those keywords. 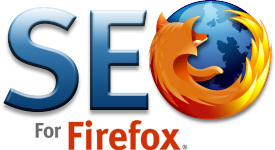 This article will cover ways to check the SEO strength of your competition. What this means is that for any particular keyword, the top 10 sites in the search engine result pages will have varying degrees of competitive strength and very often by analyzing them against the SEO parameters that I will cover, you can get a good idea of whether you could take their place in the top 10 or not. It is always smart to have enough data to wisely pick your battles. That way you can avoid wasting a huge amount of time fighting the wrong ones (as many do) and trying to compete for keywords that simply have no chance of getting you traffic. So, what are the main competitive strength factors and how can you find out which ones a competing site is strong or weak in?